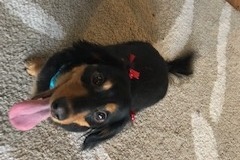 Mable became paralyzed on the morning of Christmas 2018. She was rushed to the emergency vet at 4:30 AM. 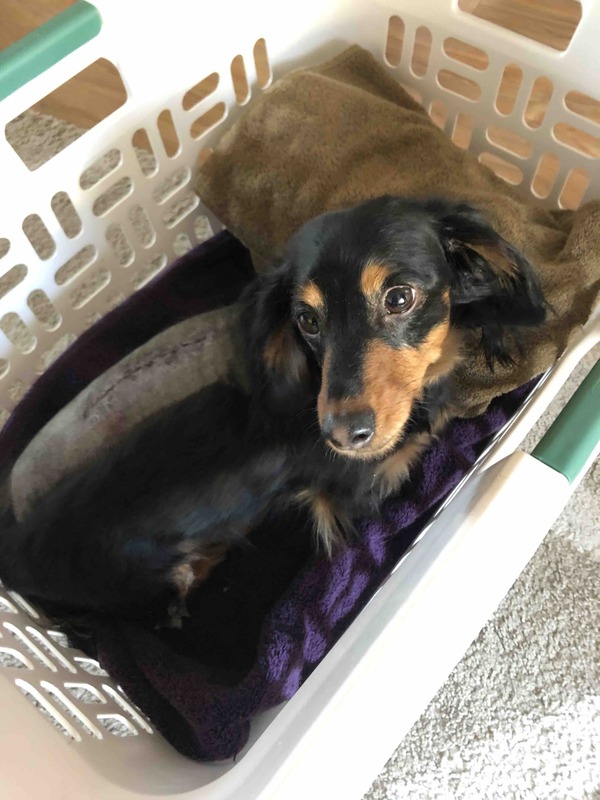 She is suffering from a herniated disc (IVDD) and has lost deep pain sensation. She is not able to move her hind legs and tail. While she has started pain medication and steroids (prednisone), the veterinarian has recommended surgery due to the severity of the paralysis. The cost for preoperative diagnostics (MRI) is $1800-2000 and the surgery was estimated at $3000-3500. Mable is four years old. She is a lively, loving girl. She is loved by our entire family. She enjoys walks, zooming around the house after playing in the snow, and cuddling with her family. Our family is not able to arrange to pay for the entire amount of this treatment option and we have been advised that the earlier the surgery is performed, the better Mable's expected outcome will be. Any donations made will go to the cost of the surgery - or, if we are not able to raise the full amount, alternative treatment options such as acupuncture, physical therapy, and cold laser therapy. Mable is home and doing well! She’s expected to make a full recovery! UPDATE! We were able to contact a veterinarian in a neighboring state who is able to perform surgery for far less than the quotes from veterinarians here in Utah. $3200! Still not affordable but definitely less daunting! We've scheduled surgery for Thursday, December 27th. Thank you to everyone for your kind words and donations. We've been fortunate enough to be able to borrow all but $1000 of the funds required. Any amount will help us reach this goal. I will try to update the needed amount - I've never hosted a campaign before and I'm not sure if that is something I can do.